Happy New Month Beautiful People! It’s getting cold over here and I just love that you can still dress up come rain or shine. This look gives me just the right amount of coziness and elegance. My current faves now are Midis, both midi pants and skirts. I love how different they look from high waisted skirts or pants. With the beautiful pleat details , I just had to game it up with a pair of good booties. This look is great for tons of occasions, and it’s definitely a look you can practically switch up from day to night. As I write this post, I can’t help but think of Christmas, I’m super super excited, for so many reasons 😀 who else is? What are your thoughts on this look? What would you switch up? Wishing you the best of the week ahead! This is just perfect for this season, I wouldn't switch up nothing, it's an elegant look. ❤️ It!!! 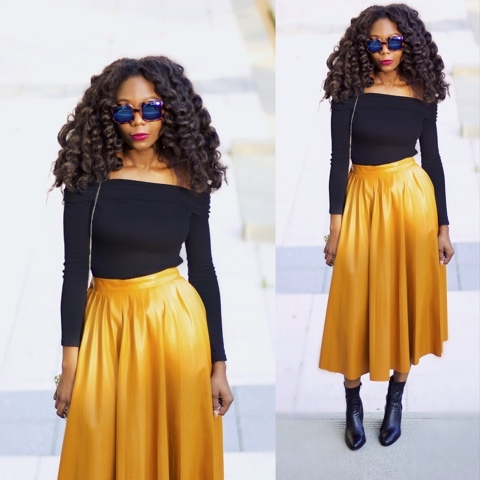 That midi skirt is perfect for Autumn! 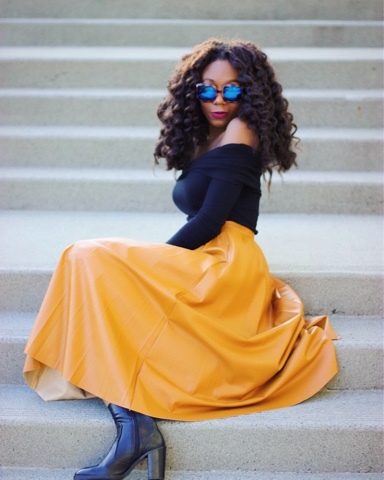 The colour of this skirt is everything, i am currently on a hunt for something thats mustard or yellow. Love it. This look is so cute and i love your hair. It's great that you can enjoy dressing up rain or shy. It's perfect to build you style. Anyways love your midi skirt. Very MichelleObama-esque.. Been staring at this look too much on IG, had to pop down here..
Never knew mustard could look this beautiful.. Love the look ❤❤? ?